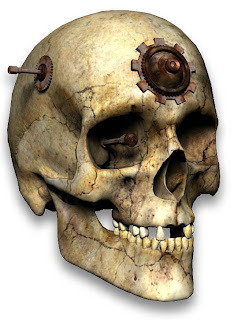 Item 5: Clock-head skull discovered by the River Thames in 1881. History has left few records of the clock-heads. These mechanically deformed creatures terrified London slum dwellers throughout the late 1870s and early 1880s, but were largely considered fabrications by the police and newspaper reporters. One documented newspaper account of a clock-head incident (The London Evening Gazette; 19 September, 1879) characterized eyewitnesses as "greatly intoxicated with drink and revelry and inclined to exaggeration." According to a number of his friends, writer Wilkie Collins was fascinated by "clock-head gossip" as it potentially related to vivisection, the subject of his 1883 book Heart and Science. 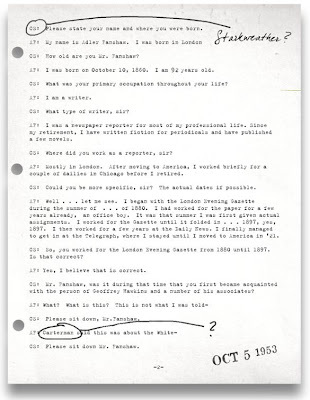 But he too ultimately dismissed the plausibility of such reports. Geoffrey Hawkins and his associates took reports of clock-heads very seriously. 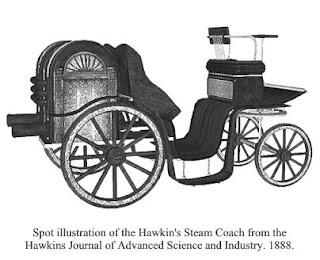 From 1878 through late 1881, Hawkins employed a number of private investigators to pursue any and all information regarding the creatures. It was his hope to discover what person or collective was behind the creation and disposition of these human-mechanical augmentations. On Christmas Eve, 1881, investigator Archibald Teddington delivered to Hawkins a human skull that had been discovered by a mudlark* along the banks of the Thames. It was the first tangible evidence of a clock-head that Hawkins was able to acquire. That skull, with its embedded mechanical constructs, was ultimately secured inside a small chest within the Hawkins Strongbox. It is presented here as Collection Item 5. The skull was examined extensively by Berkley Vanderzee. 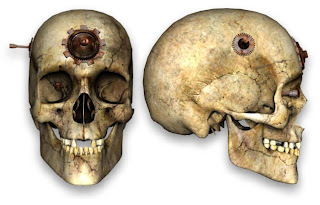 It had three distinct augmentations: one large piece embedded in the forehead, a smaller piece drilled into the right side, and a final piece inside the right eye socket. The forehead piece confirmed the one physical trait nearly all clock-head witnesses agreed upon. It also matched the drawing produced by a prostitute in 1880 and forwarded to Hawkins by Henry Mayhew (Item 25). But most alarming to Vanderzee was what he found within the skull's front right ventricle: an active æther cell. This essentially confirmed Hawkins' long simmering suspicions that Dr. Enoch Cyncad was the mysterious and sinister force behind the clock-head monstrosities. 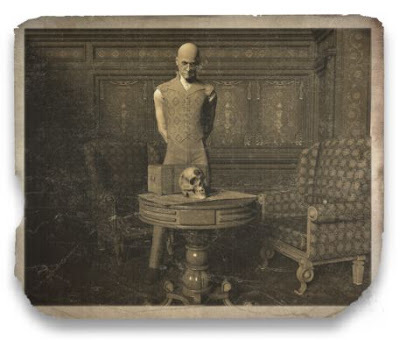 Berkley Vanderzee with the clock-head skull at the Scientia Club. 1881. It would appear that the discovery of the skull most certainly lead to the formation of the Society of the Mechanical Sun less than three weeks later on 9 January, 1882. The skull itself can be seen in a photograph dated 27 December, 1881. The photo was apparently taken inside the Scientia Club in London. Berkely Vanderzee is pictured standing at a small table examining the skull. *mudlark - "Groups of children spread over the banks were waiting till the river, exposed to its bed of sand, left bare on its banks tongues of damp mud, sullen promontories, which at regular distances ran at low water down into the stream. When the tide was perfectly low, these bands of boys, among whom I noticed girls, a few men, and many old women, scattered on both sides of the Thames over the exposed mud and among the vessels the tide had left high and dry. I there saw them waded up to their knees in the viscous mud covering the sand: they were mud-larks. It may be asked what these swarms of finders expect to find on these sterile spots : they collect in baskets pieces of coal, wood, nails, and, by extreme good luck, a few coppers. They are seen along the whole distance from Vauxhall to Woolwich: some of the children are not above six years of age: nearly all the old women have decrepid features, rendered even more hideous by their wretched rags; the boys all look rather wild and savage; their clothing generally consists of an old straw hat, a coloured shirfr, and trousers tucked up to the knees, though some of them do not possess what can be called a garment, but only rags scarce covering them." From The English at Home Volume 2 by Alphonse Esquiros. 1861. Visiting the 20th Century. 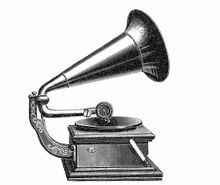 The scope of the Hawkins Strongbox online collection has to date been focused primarily on items dating from the late 19th century. 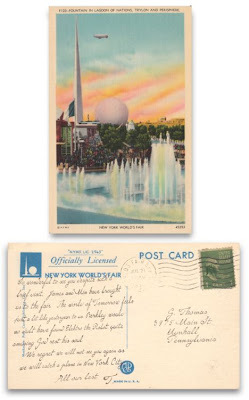 We will soon be expanding that focus quite a bit as we feature items from the 20th century as well. Archivists at the Victorian Mechanical Museum inform me that they have just recently cataloged a rather important document from 1953, and hope to have it available for online exhibition soon. The Mysterious Lady Hyperion. 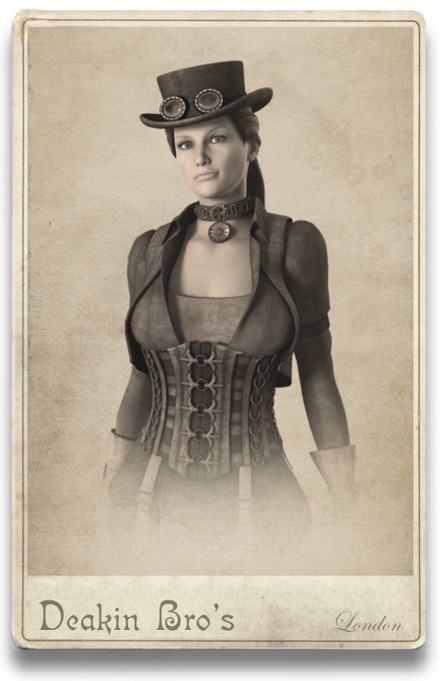 We have received a number inquiries of late regarding the identity of Falynne Hyperion, who has been mentioned recently in relation to the ever enigmatic Society of the Mechanical Sun. We will be introducing you to Miss Hyperion in short order; her 1882 cabinet card is being prepared for online exhibition even as this missive is being written. Look for it during the latter part of the next week. Chronologically Speaking. If you are new visitor to the Hawkins Strongbox, we highly recommend you spend a few moments exploring the Hawkins Strongbox Chronology. It organizes the information derived from the Collections Items into a year-by-year linear history. Special Thanks. 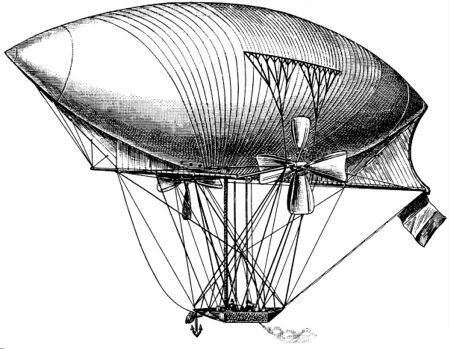 Our thanks and gratitude are extended to both The Heliograph and The Steampunk Librarian for recognizing our online exhibition and recommending us to their intelligent and most sophisticated readerships. We are happy to include both sites in our catalog of Academic Referrals. 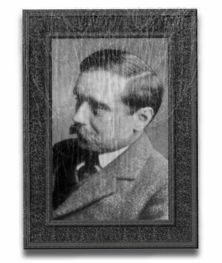 Item 46: Cabinet Card of Geoffrey Hawkins. Early 1882. We noted in a prior post that Geoffrey Hawkins, Timothy Deakin, Berkley Vanderzee and Falynne Hyperion all posed for portraits shortly after establishing the Society of the Mechanical Sun in January of 1882. These portraits were made into cabinet cards and a complete set was found within the Hawkins Strongbox. We have exhibited the Deakin and Vanderzee cards (Items 47 and 48 respectively) and today reveal the Geoffrey Hawkins portrait. It has been classified as Collection Item 46. 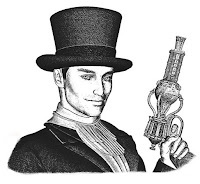 Hawkins posed for this photograph holding an early model æther-modified flintlock pistol. He also wears a Mechanical Sun brooch similar to the one worn by Timothy Deakin in his portrait. It is perhaps the most important item to be found within the Hawkins Strongbox thus far. In a material sense, it is an extraordinary example of æther-based mechanical craftsmanship. 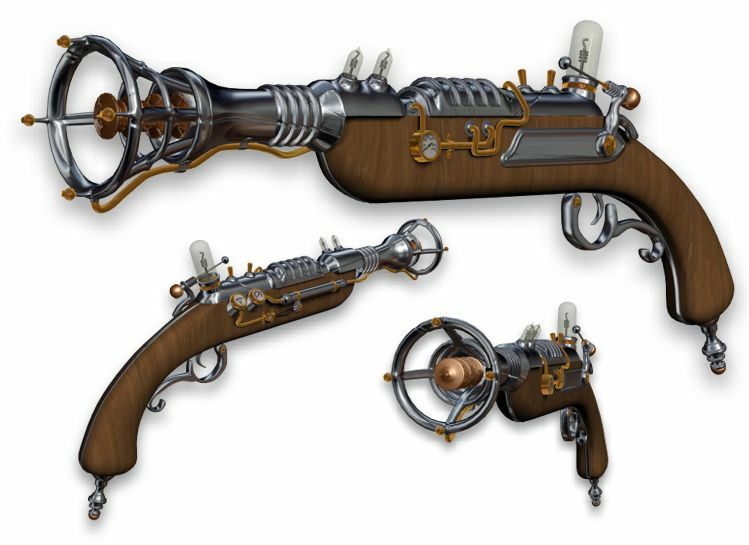 Historically, it is a significant and tangible representation of the origin of the Society of the Mechanical Sun, the secret Victorian-era organization so directly and dramatically connected to the Hawkins Strongbox and its contents. It is the Geoffrey Hawkins Mechanical Sun Timepiece and it has been appropriately designated as Collection Item 1. The purpose of the Society of the Mechanical Sun has long been shrouded in mystery and secrecy, and rumors have abounded as to its mission and motivations. It was primarily populated by scientists, inventors and mechanical engineers. Whenever the group was threatened by public awareness, its members would attempt to portray it as a simple social club. Geoffrey Hawkins once responded to a reporter's inquiries by calling it a "--collection of self-absorbed intellectuals and academics too often debating matters most mundane and tedious." 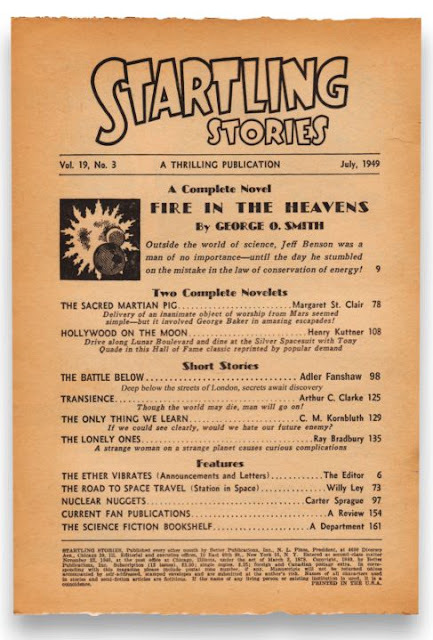 But Hawkins and his associates were notable for cleverly misrepresenting their remarkable and often fantastic private adventures, and consistently portraying these affairs " . . . as fanciful fictions better suited to the penny dreadfuls than events of any historical significance." Many prominent Victorians were rumored to have been members. Speculation focused on figures such as Arthur Conan Doyle, Joseph Bell, Max Planck and Heinrich Hertz, just to name a few. Wilkie Collins reportedly told close friends that he had declined a membership invitation. 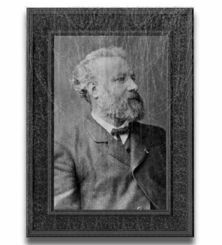 Jules Verne was frequently mentioned as being one of the group's founding members. Yet neither history, nor any of the contents of the Hawkins Strongbox so far cataloged, have yet to confirm Mechanical Sun membership of anyone other than the four individuals we are about to identify. 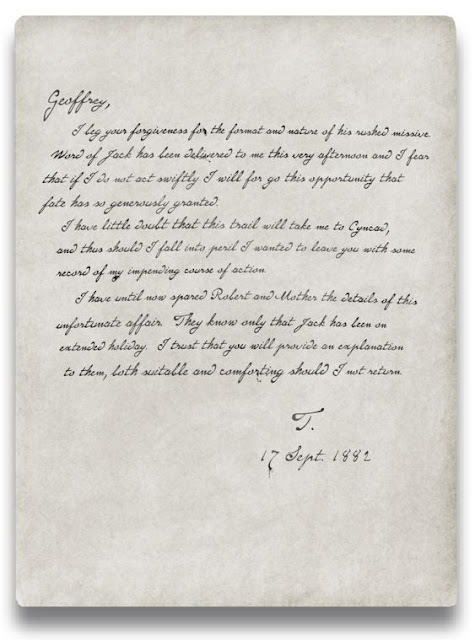 On the evening of 9 January, 1882, Geoffrey Hawkins, Timothy Deakin, Berkley Vanderzee and Falynne Hyperion met in a private dining room at the Scientia Club in London. 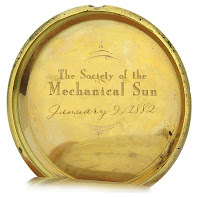 Over the course of a few hours, they created the Society of the Mechanical Sun and initiated themselves as its charter members. 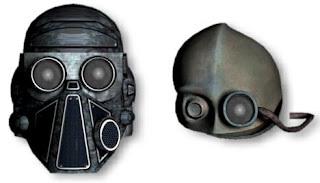 Strongbox items so far documented indicate that the group's initial mission focused on containing the use of ætherdynamic technology, especially as it related to the plans and machinations of Dr. Enoch Cyncad. 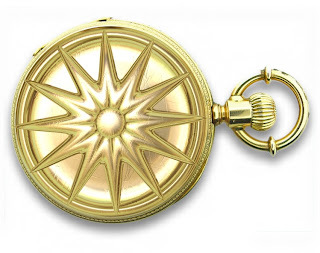 A few weeks later, Berkley Vanderzee presented each of the members, including himself, with a custom-designed æther-powered pocket watch, denoting their status within the Society. 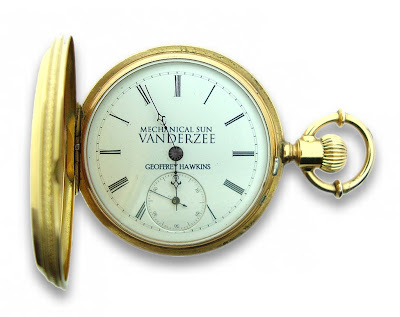 Vanderzee personally constructed the four timepieces and also designed the Mechanical Sun emblem that adorned the cover of each one. (Objects employing the same design can be found in Items 47 and 48.) An inscription on the inside cover of each read "The Society of the Mechanical Sun; January 9, 1882." 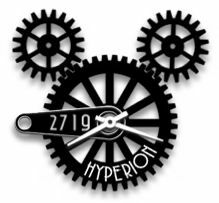 The watch face was personalized to each individual and also included Mechanical Sun and Vanderzee identifications. 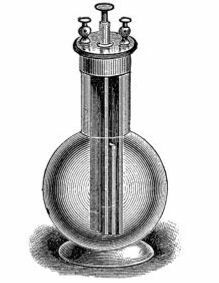 The design required no winding as its internal mechanisms were powered by a small but powerful æther cell. Geoffrey Hawkins' Mechanical Sun timepiece was found within the Hawkins Strongbox, carefully preserved inside a metal case with a cushioned interior. A small note was also found within the case. At 5:56 on the morning of July 17, 1955, Vanderzee's timepiece is finally still. It was powered by the last remaining active æther cell on the planet. 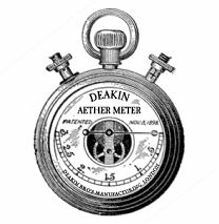 The Mechanical Sun timepieces belonging to Berkley Vanderzee, Timothy Deakin and Falynne Hyperion remain unaccounted for. Item 48: Cabinet Card of Berkley Vanderzee. Early 1882. 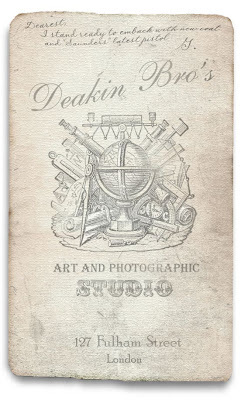 Shortly after establishing the Society of the Mechanical Sun in January of 1882, its four founding members posed for formal portraits at Deakin Bro's Studio to commemorate the organization's inception. 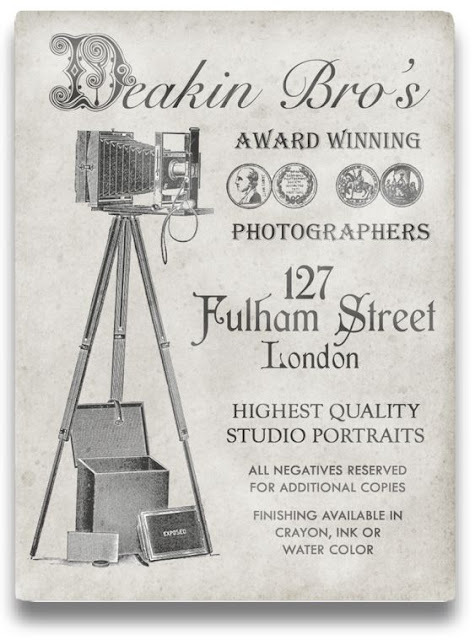 The cabinet card of Timothy Deakin (HS Item 47) was the first of these four photographs to be discovered within the Hawkins Strongbox. We will feature the cabinet cards of Geoffrey Hawkins and Falynne Hyperion in the near future. 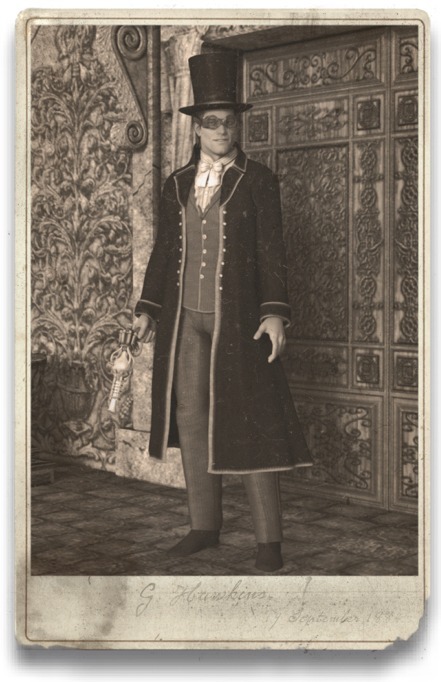 Today we present Collection Item 48, the cabinet card of Berkley Vanderzee. Berkley and his twin brother Nicholas were born on the Missouri frontier on 13 November, 1841 to parents Miles and Gillian Vanderzee. Shortly after the boys' sixteenth birthday in 1857, their mother was killed by a stray bullet from a gunfight between rival outlaw gangs in Kansas City. Disillusioned and distraught, Berkley and his father, a British emigre, returned to England in early 1858, where Berkley was apprenticed to a London watchmaker. Nicholas remained in the states, working on a cattle ranch owned by his maternal uncle Giles Ainsworth. 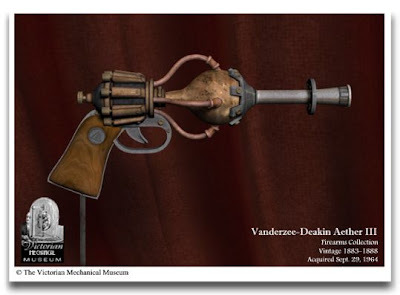 Berkley Vanderzee became publicly renown for his timepieces and also for his mechanical automata. 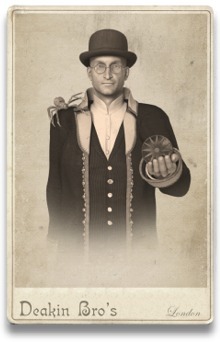 With his close friends and associates he shared his more elaborate and complicated constructs, such as the mechanical spider posed on his shoulder in this particular portrait. In his hand he holds a newly crafted emblem of the Mechanical Sun, similar to the brooch Timothy Deakin wears in his own portrait. 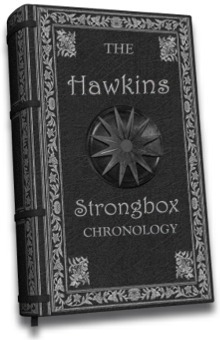 In a effort to aid collection visitors and academic scholars alike, we are very happy to announce the establishment of the Hawkins Strongbox Chronology. 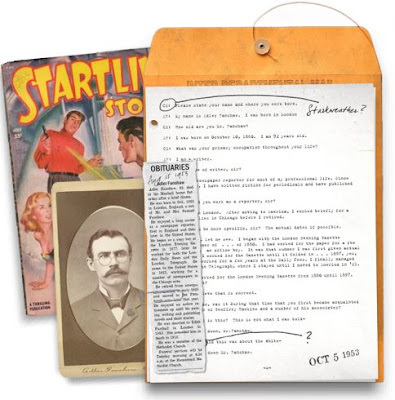 The Chronology will be an ongoing effort to organize the information presented in the Hawkins Strongbox online exhibition into a year-by-year linear history. As new collection items are presented, relevant historical data associated with those items will in turn be incorporated into the Chronology. The Chronology can be accessed via the sidebar link on this page. 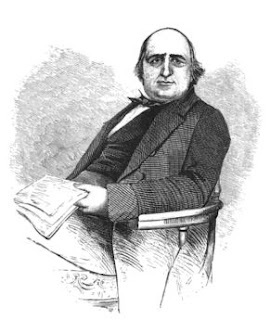 During the mid-19th century, Henry Mayhew was a well known writer, journalist and advocate for social reform. He wrote numerous plays and was also a co-founder of Punch magazine, the enduring British publication famous for its satire and literary humor. But history remembers Mayhew most for the investigations of London's lower classes that he conducted throughout 1849 and 1850. 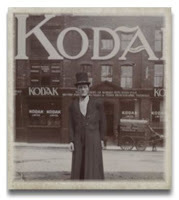 He reported his findings in a series of articles for the Morning Observer; these surveys were ultimately collected in a book entitled London Labour and the London Poor. His work was groundbreaking and significant and had an especially notable influence on the novels and stories of Charles Dickens. Despite the fame and reputation these endeavors brought to Mayhew, he fell into obscurity in his later years. The events of his life from1865 until his death in 1887 have long been a mystery, but Collection Item 25 reveals that for at least part of that time he was in contact with Geoffrey Hawkins. 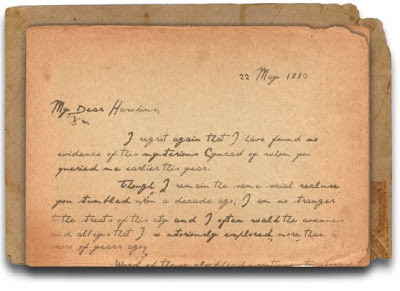 Item 25 is a letter Mayhew wrote to Hawkins on 22 May, 1880. It was accompanied in the envelope by a what is believed to be the very first documentation of a clock-head. I regret again that I have found no evidence of this mysterious Cyncad of whom you queried me earlier this year. Though I remain the social recluse you stumbled upon a decade ago, I am no stranger to the streets of this city and I often walk the avenues and alleys that I so notoriously explored more than a score of years ago. Word of these clock-heads continues to spread. The police are quick to characterize these reports as the fabrications of of drunken miscreants, and the members of the press seem to have no interest in pursuing the story, apparently judging it unworthy of even uncultured sensationalism. By chance and good fortune I was recently presented with a drawing of one of these clock-heads. It is rumored to have been hastily rendered by a prostitute residing within the Old Nichol Street rookery who had been accosted by one of the creatures. You will find that rendering enclosed herein. I will leave it to your judgment as to whether any of this bears relevance to your ongoing investigations. Item 25-A: Drawing of a Clock-Head. 1880. 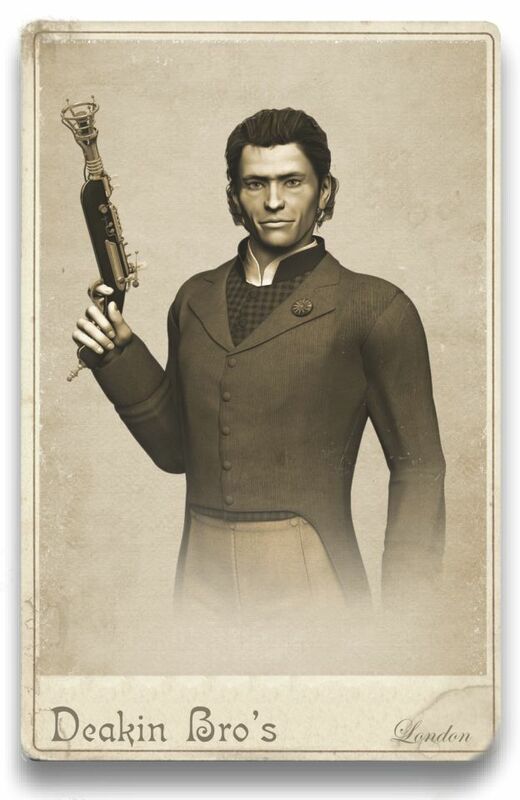 Hawkins was actively pursuing the notorious Dr. Cyncad at this time and at some point had enlisted Henry Mayhew in his efforts. 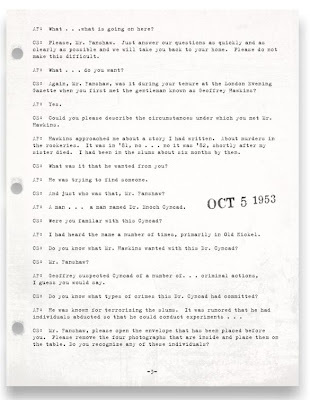 When Archer Bowens forwarded these materials, he noted that it is likely that this was the first time Hawkins and his associates determined a possible link between Cyncad and the clock-heads. We would like to thank all those individuals who have contacted us since the launch of the Hawkins Strongbox online exhibition. We are both humbled and flattered by your attention and also deeply gratified for the enthusiasm you are collectively expressing for this project. Some readers have sent in queries we would like to address. Alfred W. asks: "Is it your plan to eventually exhibit all of the items found within the strongbox? By your own estimation, there will be close to one thousand items ultimately cataloged. As you have so far only addressed three collection items, it appears that this could potentially be a very long term venture." Thanks for writing, Alfred. Our purpose here is not to exhibit every single item found within the Hawkins Strongbox. Many items are considerably mundane and contribute little if anything to the overall history that we have set out to explore. 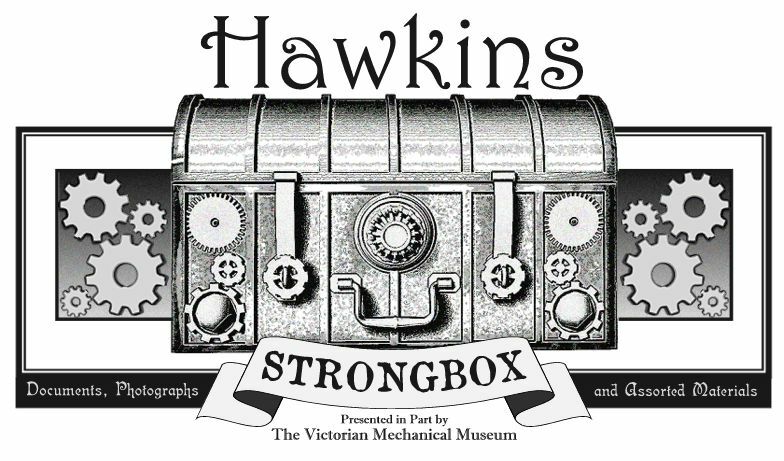 That said, there is still a considerable amount of material that warrants exhibition and so it is very likely that Hawkins Strongbox will become the "long term venture" you describe. We will also frequently supplement the exhibition of collection items with other documents, materials and information that bear relevance to the subjects at hand. Much of this supplemental material has been culled from the archives of the Victorian Mechanical Museum. 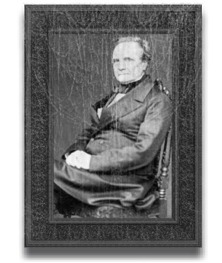 Regarding an observation made by Archer Bowens of the post Timothy Deakin Cabinet Card (01 February, 2010), Barbara M. observed: "It seems very unlikely that Timothy Deakin would have been able to create a thermal imaging device in the mid 19th century, as Archer Bowens speculates. Where would he have been educated in this particular science? " 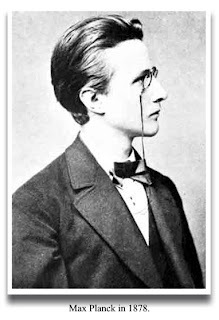 Archer Bowens answers, "Deakin traveled to Germany a number of times during the late 1870s, meeting frequently with a freshly educated physicist and mathematician named Max Planck. The young Planck was at the time involved in research relating to heat mechanics and thermodynamics." 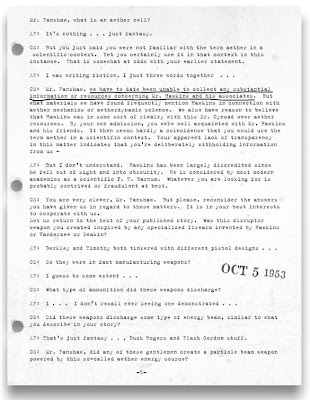 Bowens also notes, "It is significant to mention that in the years following World War II, both British and American intelligence services scrambled to track down any surviving Deakin optical devices because of rumored thermal imaging capabilities. A number of working Deakin-manufactured goggles had surfaced throughout the war, but by the time any were recovered during the late 1940s and early 1950s, the associated æther cells had all reportedly disintegrated." 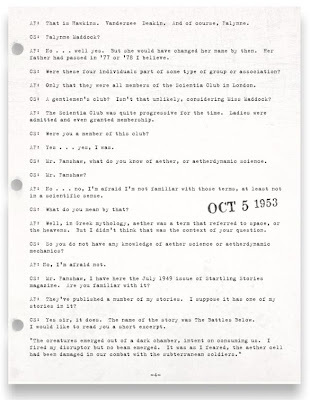 Paul D. asks: "As Geoffrey Hawkins appears to be the central figure of your efforts and studies, can you at least provide a little more biographical information about him? You have been somewhat lacking in that area so far." You are correct Paul, but I would like to think that our motives in that regard are at least well intentioned. We feel that it is much more compelling and interesting to unfold the story of Geoffrey Hawkins via the contents of the strongbox as they are investigated and cataloged. Also, by attempting to construct too much of a biography of Hawkins at this point, we risk inaccuracies and contradictions that would most certainly undermine our long term goals and efforts. 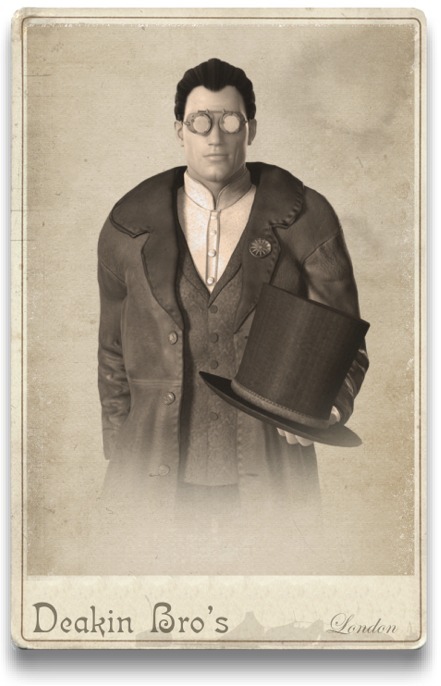 It is also important to note that even though we have presented the distinguished Mr. Hawkins as the central figure and namesake of our efforts, this history that we explore has a wide and varied cast of characters and it appears that the contents of the strongbox will reveal much, much more than the story of just one man. CORRECTION: Relating somewhat to Paul's inquiry, we wanted to post a correction regarding information presented in The Mysteries of Duquesne (17 Jaunuary, 2010). In that post, I stated that Geoffrey Hawkins was born in London in 1850. 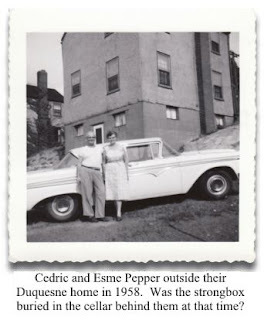 I based this on information provided to me more than three decades ago by my grandmother Esme Sigismund Pepper. Archer Bowens has since informed me that while the date of 1850 is correct, Hawkins was actually born in Dixton near the town of Monmouth in south Wales. Archer notes, "One might wonder if Hawkins parents named him for Geoffrey of Monmouth, the famous 12th century clergyman who wrote the Historia Regum Britanniae, a largely fictional British history that was one of the first texts to mention King Arthur." Item 47: Cabinet Card of Timothy Deakin. Estimated date 1882-1883. The legacy of Timothy Deakin is proving to be very tangible within the Hawkins Strongbox, as evidenced by our recent posts. Collection Item 47 finally provides us with an image of this scientist, inventor and photographer. 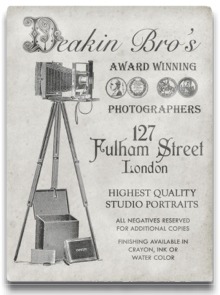 The item is a cabinet card portrait of Deakin produced by his own studio. Robert Deakin, Timothy's brother, once described his younger sibling as " . . . an exemplary but often bored student." 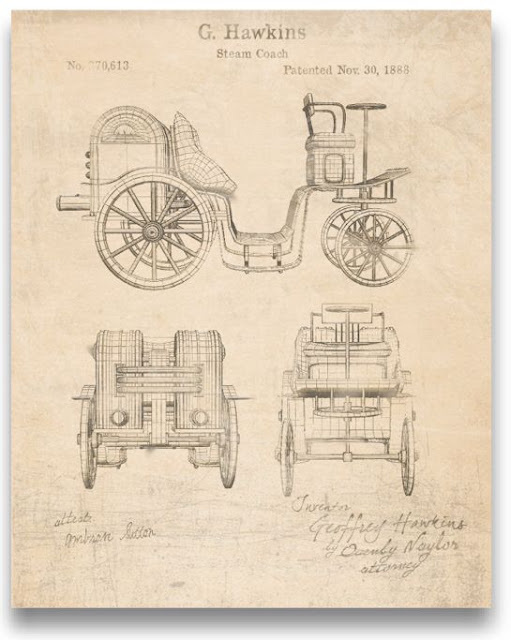 He was considered a mechanical and engineering genius while still a teenager, and patented his first invention at age twenty. In that context, it is not hard to understand why he was so often underwhelmed when fulfilling his more mundane academic requirements. 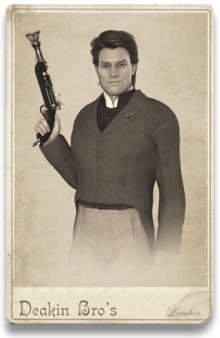 Charles Hawkins introduced Timothy Deakin to his older brother Geoffrey sometime during the autumn of 1877. Charles and Timothy had become acquainted during their time together as students at the College of Science at the University of Edinburgh. Timothy and Geoffrey became fast and close friends, sharing passions both scientific and philosophical. 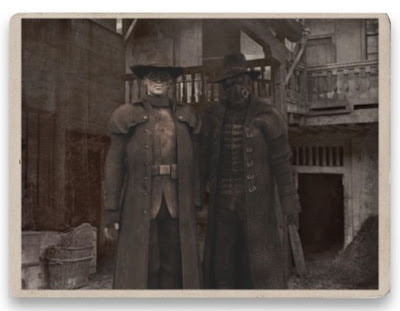 Together with Berkley Vanderzee and Falynne Hyperion, they would form the nucleus of what was seemingly one the 19th century's most covert secret societies. Item 47 is undated, but the photo is likely to have been taken around 1882-1883. 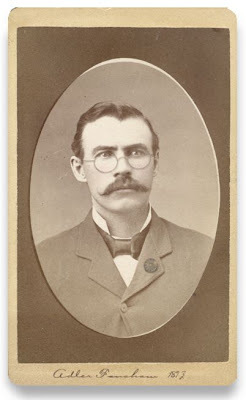 Archer Bowens notes that, "Deakin is wearing his own Model II Mechanical Spectacles which he first manufactured in 1882. He also is wearing a Mechanical Sun brooch on his jacket lapel. Members of the Society began sporting these brooches sometime in early 1882." 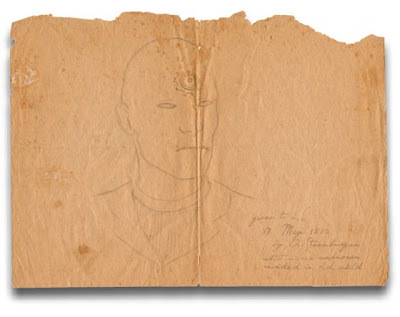 ADDENDUM: Item 47 is part of a set of four portraits associated with the inception of the Society of the Mechanical Sun in January of 1882. The other portraits are of Geoffrey Hawkins (Item 46), Berkley Vanderzee (Item 48) and Falynne Hyperion (Item 49).